I’ve been shut in, away from the world, watching film and scouring combine and pro-day notes to bring to you the 100%, STONE COLD CORRECT Thundermock for the 2014 NFL Draft. So read up, take notes, sit back, grab some popcorn, crack a beer, and tune in tomorrow night at 8pm to see the future of your favorite NFL team take shape! The Texans have done a great job smoke-screening their intentions. I think they would really like Clowney but see the huge value in adding extra picks to the fold. They will have plenty of options at #6. 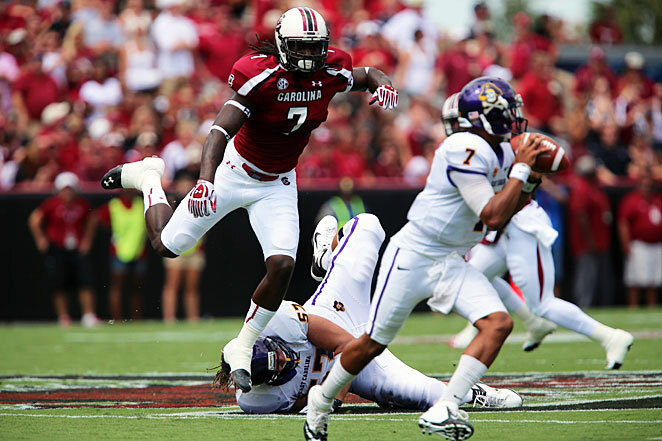 As for the Falcons, they see their biggest need and address it with the immense talent that Clowney is. While I think this hurts Atlanta in the long run as they have other areas of need (O-line, linebacker, secondary), Clowney is a once-in-a-generation talent and if harnessed correctly, will make Cam Newton and Drew Brees very uncomfortable in the NFC South. I really think the Rams want to trade out here and that very well may happen, especially if Clowney doesn’t go first. But ultimately, Robinson is too big of a talent to pass up on, literally. At 6-5, 332 pounds, Robinson will be able to push back against the great defenses of Seattle, San Fran, and Arizona. He may have his hiccups in pass protection (which is why fellow tackle Jake Matthews may be the smarter pick), but he is a true mauler and will help St Louis compete in the ultra-competitive NFC West. 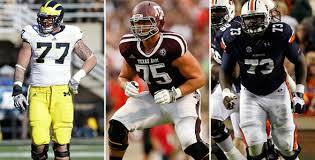 The Jags have a big decision here: Manziel, Watkins, or Khalil Mack. Each fills one of Jacksonville’s many needs but at the end of the day, the Jaguars don’t love Manziel enough and Sammy Watkins has them salivating. He isn’t Calvin Johnson tall but he is strong as a bull and has otherworldly acceleration and explosiveness. He will add instant offense to the Jaguars who are hurting due to the Justin Blackmon debacle. Yup, too much for the new regime in Cleveland to pass up on. I am a huge believer in Johnny Football and I want him to succeed in Cleveland who desperately wants, and deserves, a sports savior (thanks LeBron). He gets to throw to Josh Gordon and has a underrated, borderline great defense on the other side to help him out. The Browns will at least fill the seats but I think Manziel has what it takes to become a star in this league. Wait, the Raiders didn’t draft a skill position player?!?! What?!?!? Matthews make sense for the Raiders and I feel that GM Reggie Mackenzie is trying to right this ship by drafting smart. Matthews helps soften the blow of the Roger Saffold debacle and gives the Black Hole some hope at a better season and a brighter future. Matthews is the most technically sound tackle in the draft and will be a Day 1 starter at either tackle spot. The Texans take a gamble after trading #1 and end up winning the lottery with Mack. He will step right in and be a force to help J.J. Watt and Co. get to the QB. I feel that the Houston brain trust doesn’t think highly enough of this QB class to make such a steep investment this early in the draft. Mack is simply no consolation prize with a 4.53 40-time. Turn on the tape and it shows this small-school star coming up biggest against the best, especially Ohio State. The is the best case scenario for the Texans. Tampa Bay gets another tall, rangy receiver to create matchup nightmares across from Vincent Jackson. With Evans and Jackson on the outside and Doug Martin in the backfield, Mike Glennon has no excuses this season. 6-5 and can gallop, Evans may have a higher ceiling than Sammy Watkins if he can improve his route running and tweak his attitude. Many draft experts have quarterbacks falling in this draft, even with QB-needy teams littered in the top 15 picks. What is the most important position in all of sports? THE QUARTERBACK. And teams will reach for them. 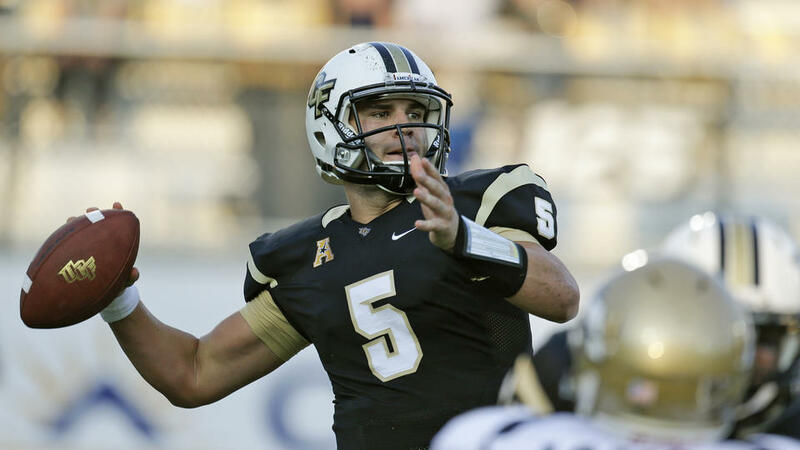 Blake Bortles is the quintessential NFL QB model with a big, sturdy frame, a strong arm, and solid mobility. The Vikings will be able to lean on Adrian Peterson to bring Bortles along and coach Mike Zimmer feels he gets a steal by snagging a prospect many thought could go #1. The Bills could go many ways here. They could trade up, they could take an O-lineman, a wide receiver, or a pass rusher. But they need to see what they have in E.J. Manuel and in order to do that they must provide him with weapons. Ebron is just that and will provide a security blanket and a seam target for the young gunslinger. Ebron will not block for you and he may be too much of a diva for his own good, but the talent is there and the Bills will take a shot at the consensus #1 tight end in the draft. The Lions wouldn’t surprise me if they went wide receiver here in their eternal quest to get Calvin Johnson some assistance. But their secondary is really, really bad. 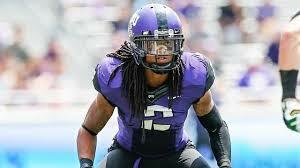 Fuller is a 4 year starter with great physicality that fits the Richard Sherman mold. He has shot up draft boards and will be the surprising 1st corner taken. The biggest shocker of the night so far. The Titans brass likes Carr a lot and shuns their need for a pass rusher or a corner to get their guy. Teams reach for quarterbacks, its in their DNA. But if Carr clicks, then the Titans are relevant again and Ken Whisenhunt looks like a genius. I like Carr but think he is too much of a system quarterback to be a star. 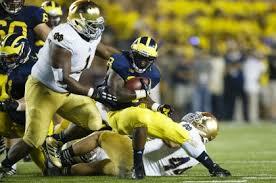 While it breaks my heart to see a Maize & Blue head to NY, the Giants will be jumping for joy when Lewan falls to them. He fills one of their biggest needs and has a nasty streak that will help revitalize a dank, gloomy team. Da Bears pass up on C.J. Mosley and the top 2 safeties here to get the rising star of this draft. Donald has a freakish burst off the line and runs a high motor and will create of the NFL’s most feared D-lines along with Lamarr Houston, Jared Allen, and Willie Young. 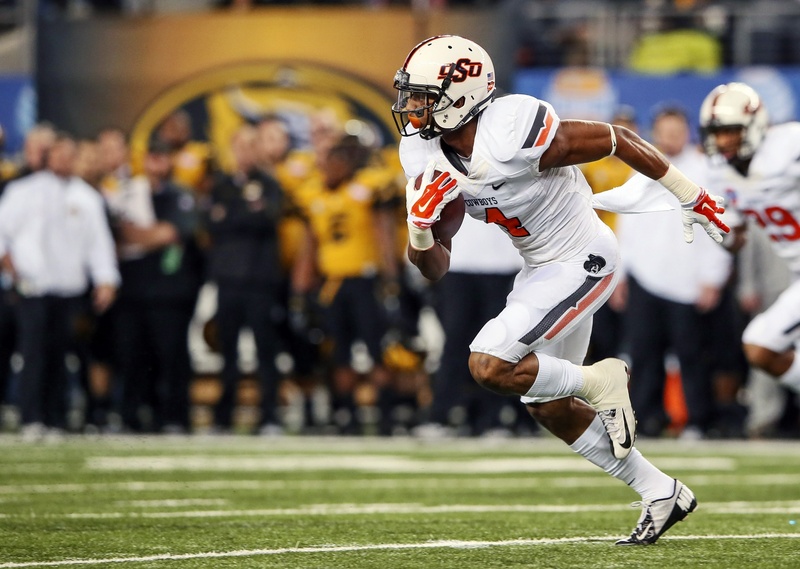 The Steelers could go Justin Gilbert here but I feel like the tenacity that Dennard plays with will win the day. He can step right in and start from Day 1 and truly fits the bill as a Steelers defender playing physical coverage and not backing down from anyone. Dallas may want Manziel, but they won’t get him. They may go defensive line, which makes a lot of sense. But Barr will help offset the loss of the beloved DeMarcus Ware with his great speed (4.44 40) and size (6-5, 225). He still has to grow into his potential after switching from running back to linebacker as his strength simply isn’t enough for this level but he gives Dallas a much needed boost in the pass rush department and his slide is Jerry Jones’ gain. Barr is a freakish athlete with so much more growth available. Eric Ebron is gone. The Ravens need a safety. They have their pick between Dix and Calvin Pryor. While Pryer is the big hitter, Clinton-Dix is the rangy center fielder and will fit in perfectly with the human missile that is Matt Elam, last year’s first round pick. Clinton-Dix isn’t Ed Reed, but he make look like him from time to time, which is fine with Baltimore. Is Rex Ryan still coaching the Jets? Yes, so defense gets precedent, even if wide receiver makes so much more sense. 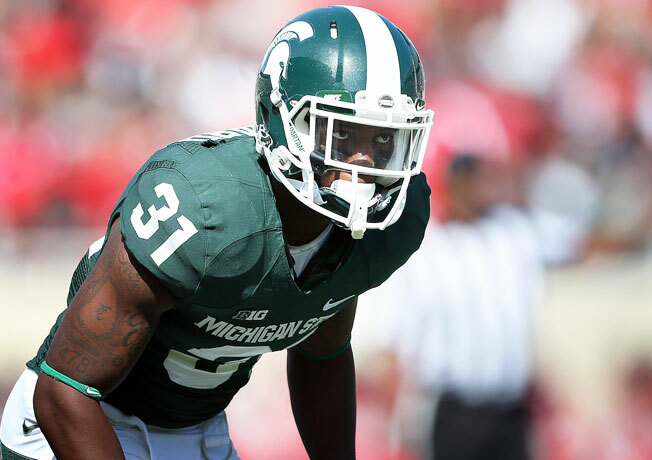 Gilbert can be compared to the former Jet Antonio Cromartie and may be the #1 corner on many teams’ boards. He is a much better off-corner who will use his elite athleticism and closing speed to disrupt throws and make some big time plays for an already-great Jets defense. Geno Smith is crying somewhere as he watches Marquis Lee, Bradin Cooks, and Odell Beckham Jr. sit in the green room undrafted. The Rams have two glaring needs to fill, wide receiver and safety. This is one of the deepest wideout classes in history. 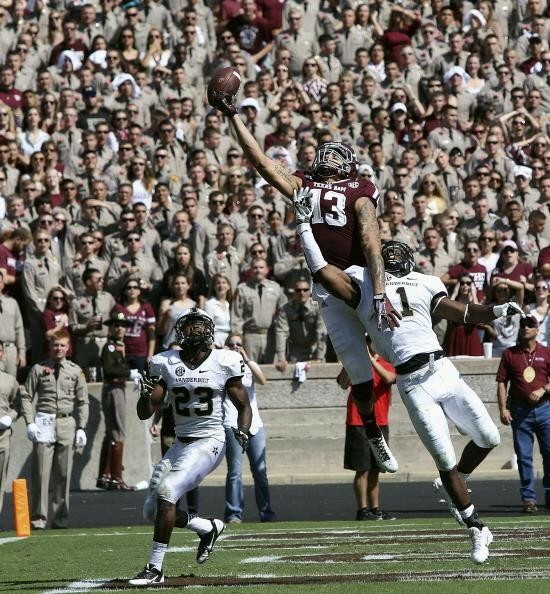 Pryor instantly adds some serious pop to this secondary and will help reign in the quarterbacks of the NFC West. The Rams once again look brilliant in this draft and can fill their wide receiver need later as they gain two blue chippers on Day 1. Andy Reid gets nervous about the Eagles at 22 and wants his guy. Lee will start across from Dwayne Bowe, finally giving him some help. Reid also likes the speedy Cooks and the versatile Beckham, but with the veteran Donnie Avery in the slot, Reid decides to take Lee. 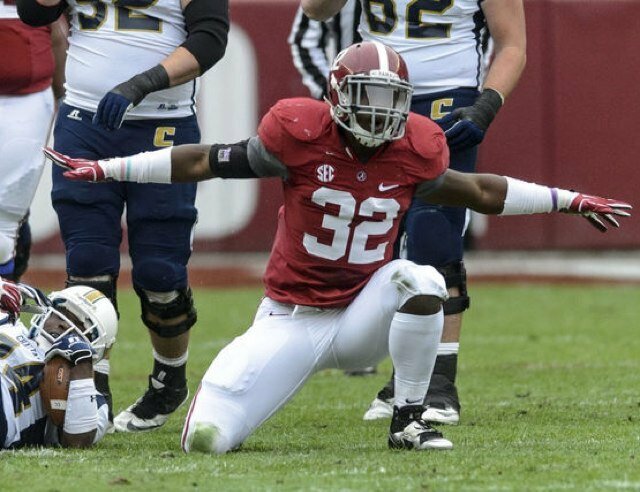 Quick, agile, and smart, Mosley is the new age linebacker. Green Bay and GM Ted Thompson sit back and fill their biggest need without even picking up the phone due to nervousness. The Packers always seem to get who the want and Mosley fits their scheme so well. 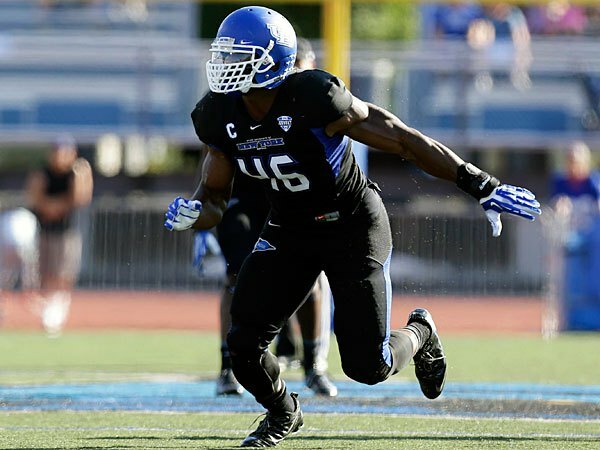 With a nose for the ball and incredible speed, Mosley is very much so the new age middle linebacker and will improve the already formidable Packers. It is smart, it is logical, and its is savvy; that’s the Packer way. The Eagles could trade back from here but they want Beckham, bad. After the scare Andy Reid gave them, Beckham lasts till this pick. Cooks and Lee aren’t bad options at all, but Chip Kelly loves Beckham’s versatility with his ability to play outside or in the slot, plus return kicks and punts. He doesn’t replace DeSean Jackson, but he softens the blow mightily. Would rather see a corner or safety here, but the top tier guys are all off the board. After netting a nice 3rd rounder from Kansas City, the Cardinals surprise Radio City Music Hall and take McCarron, someone they have been enamored with since the start of this whole process. He may not start from Day 1, but with Carson Palmer as a mentor and teacher, McCarron will have time to develop. Definitely a bit of a reach but as I said before, quarterback is king and Arizona doesn’t have any glaring needs. The Dreads make him faster. The speedy linebacker Ryan Shazier is definitely in play here as is looking for a QB-needy team that thinks Teddy Bridgewater is worth a shot after such a vast run on QBs. But Verrett is a much needed asset for a Bengals secondary that has taken some hits recently. Leon Hall is hampered by injuries, Pacman Jones is volatile, and Dre Kilpatrick is fighting off the bust label. 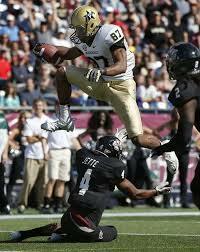 Verrett is undersized and probably best suited for the slot, but he is tenacious and a warrior. He is smart, has great footwork and body control, and will fight for the ball. If he were all of 3 inches taller, he’d be a lock 1st round pick. The Bengals get a steal here. San Diego is all about defense in this draft. They could use some help in the back end but the board is pretty clean of those players at this point. Instead of reaching for a safety like Jimmie Ward or a corner like Bradley Roby, the Charges take 6-6, 304 pound defense end/tackle Stephon Tuitt. 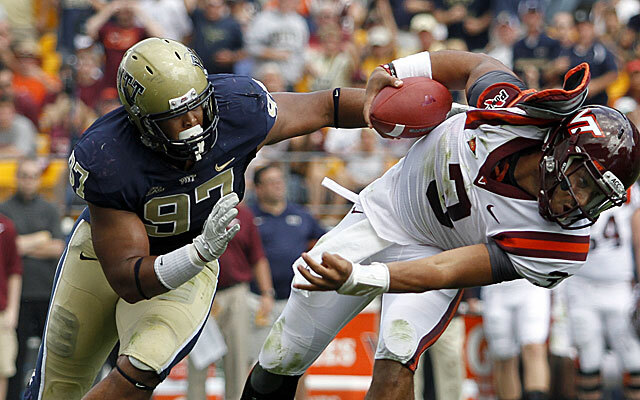 In Tuitt, the Chargers get a player with unchartable upside. He is quick but strong and can both hold up at the point of attack or penetrate the backfield. 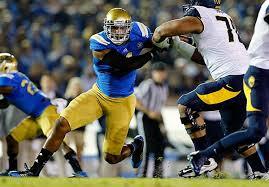 Lining up all over the defensive line, Tuitt has the ability to be a star and a foundation block for San Diego. But he has disappointed in college and needs to stay motivated and be coached hard to reach his abilities and talent. Cleveland might go wide receiver here to help out Manziel. Or they could trade it away to a QB needy team looking at Bridgewater or someone else. Instead they take Roby, a big time talent with some inconsistency. Lining him up across from lockdown Joe Haden has the potential to make the Browns defense top-5 in this league, if Roby can figure it out in time. Another prime landing spot for Ryan Shazier but Drew Brees isn’t getting any younger. Marquis Lee would also have been a great fit here with his accelerated knowledge of route running, but Cooks immediately replaces the departed Darren Sproles and sandwiched between Marquis Colston, Kenny Stills, and Jimmy Graham gives Cooks way too much space to work with. Brees and Sean Payton are literally drooling in their war room thinking about the route structures and advanced plays they can now concoct with this lethal skill set. The Panthers need to help their superstar Cam Newton and both offensive line and wide receiver are glaring areas of need. Carolina decides to take Matthews here over Davonte Adams of Fresno State and Allen Robinson of Penn State. Matthews is a refined product with a limited ceiling but at 6-3 he can and will fight for balls. He is no burner but should help Cam Newton out immediately. Definitly a safe pick for receiver needy Carolina. Nix can be a little over the top emotionally but when this 340+ pounder gets his stuff together, he can simply dominate. He processes unexplainable quickness for a man his size and can step in and replace the departed Vince Wilfork. Tom Brady will probably ask for a receiver here, and not get one. But Nix fills a need and will straighten out under the Belichick regime. Yeah, Nix is a big guy. Never heard of him? Neither had I until a buddy mentioned him to me. He is a quiet riser on draft boards and looks just like the A.J. Jenkins pick a few years ago that the 49ers made. Latimer is 6-3 but has field stretching ability. Enough for the NFL? That remains to be seen. He is a very raw project but San Fran seems to like those. Pass rusher (thanks to Aldon Smith) is also possible here (think Dee Ford or Kony Ealy). Another major possibility is a big move up for a top receiver like Sammy Watkins. The 49ers don’t have many needs and are loaded with early round picks (#56, #61, #77, #94, ect…) Interesting player in this draft the 49ers are. The Broncos don’t have many needs after filling them with seemingly every big name free agent this offseason. Offensive line is a possibility but I don’t think Peyton Manning wants to leave his fragile health in the hands of a rookie. Coach John Fox likes Hageman and if he can harness Hageman’s brute strength and force, the Broncos defense will be even better than it has already improved to. To close out the first round, the Seahawks stand pat and take a weapon for Russell Wilson. 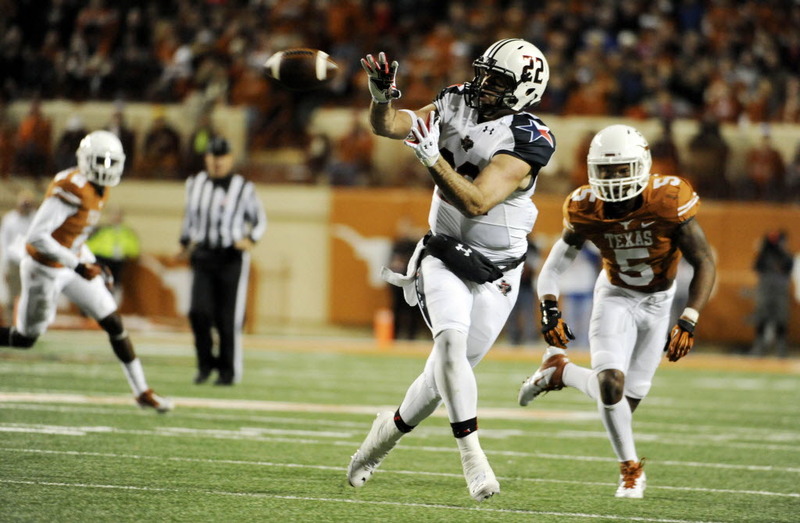 Amaro is 6-5, 265 and spent most of his time at Texas Tech playing out of the slot. If he can make is blocking passible, Amaro’s ceiling is very high and would give Wilson a scary target to hit on his trademark escape scrambles. Oh how the rich get richer! Teddy falls, Houston scores, and this is a match made in heaven as the smart, savvy Bridgewater can lead the Texans and their loaded roster back to the playoffs. 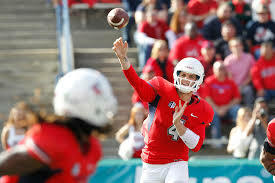 Or if Teddy bombs, Coach O’Brien can snag a QB from next year’s loaded class. May 8, 2014 in Football, NFL.